For facing a bathroom most often use a tile. It is durable, perfectly tolerates exposure to high temperatures and water vapor, hygienic, has a long service life and is available in a wide variety of colors and style decisions. To gently put the tile, you can call the experts, and you can try to do it yourself. In this article, we will provide basic information for those who decide to prefer the second option and veneer the bathroom themselves. The choice of tile, its size, and layout. In other words, you need to pick up the material that you will use during the repair, and, knowing its area and floor /wall/ceiling area, roughly calculate how many tiles you will need (adding 5-10%). You also need to think in advance in which order you will lay the elements on the floor or wall. This is especially important for products with complex composite patterns. It is worth considering the borders, inserts, friezes and any other elements that are also supposed to be revetted. Selection of ways to adjoin sanitary fixtures, sockets, docking tiles in the corners. Most likely, there will have to plan to cut the tiles into the desired fragments. This can be done using a special electric machine, manual tile cutter, glass cutter, and grinder. Definition with the color of the grout fugues and the width of the seams. Tiles must be placed so that they are not adjacent to each other, i.e. so that there is a small gap between them, which is called a seam and is rubbed with a special material. The width of the seam is important to take into account in the context of calculating the necessary material and thinking through its location, and the color of the grout fugue – for a harmonious combination with the shades of the tile itself. Calculate the approximate amount of consumables. Thus, one kilogram of the grout fugie, on average, is enough for 4 sq.m. The surface to be veneered, approximately one bag of tile glue is consumed in the same area. In addition, you will need plaster and primer to prepare for laying tile. You should also take care of the presence of a large capacity for mixing glue, notched and smooth spatulas (for applying and distributing glue), rags or sponges for erasing glue residues, level and special “crosses” to maintain the same width of seams. Directly the process of how to put tiles in the bathroom includes several key stages, each of which must be performed to obtain a strong, aesthetic and durable result. Below we consider them in stages. Regardless of the fact that before the surface of the cover – another tile or, for example, paint, as well as old plaster (bloated, cracked) – all this must be thoroughly cleaned. To do this, you can use a spatula, perforator, hatchet, loop. 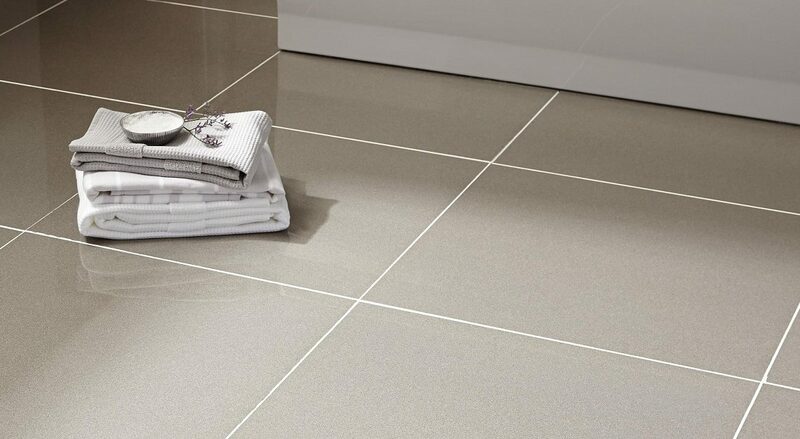 If you put the tile on a poorly cleaned surface, then it may soon begin to lag behind, rise as a whole layer and collapse. A durable, reliable layer of old plaster can be left. Plaster. This is done for alignment and it is very important regardless of where you intend to lay the tile: on the floor, on the wall, on the ceiling. To achieve evenness of the walls, a vertical plumb is used (it is fixed to the ceiling and shows how far and where the wall deviates from the vertical). The ceiling can be further strengthened with fiberglass (if there are many cracks in it) and, possibly, “cured” from mold and mildew, and when working with a concrete floor you will need to use a cement-sand mixture. Waterproof primer. It must be selected on the basis of the fact that in the bathroom there is high humidity. The primer layer is necessary to ensure better adhesion of the future tile to the surface to be treated. 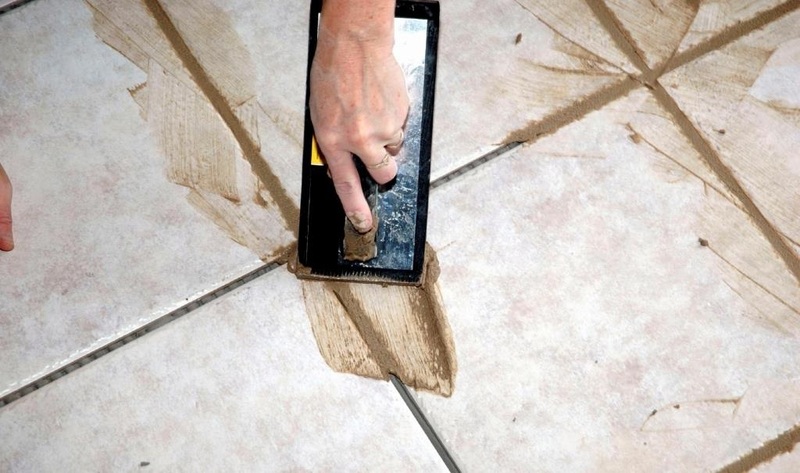 In order to put a tile in the bathroom smoothly and correctly, you need to mark the first row of material. Where exactly it will be located depends on the location of the lining, the configuration of the bathroom, the location of the plumbing. For example, you can start from the level above the bathroom, or from the floor. The first level is also called the “line of control”: it must be strictly horizontal, and you will need to install rails that will hold the laid tile. In order for subsequent rows to lie down evenly, it is necessary to nail down the vertical slats. In order to keep the same distance (seam) between all the cladding elements, you need special “crosses”, which were already mentioned at the beginning of the article. These are small fixtures that are placed between the tiles. As a rule, their thickness is about 3-4 mm – this is the optimal size of the seam. The preparation of the adhesive composition must be performed strictly according to the instructions. The mixture obtained, as a result, must necessarily be homogeneous. 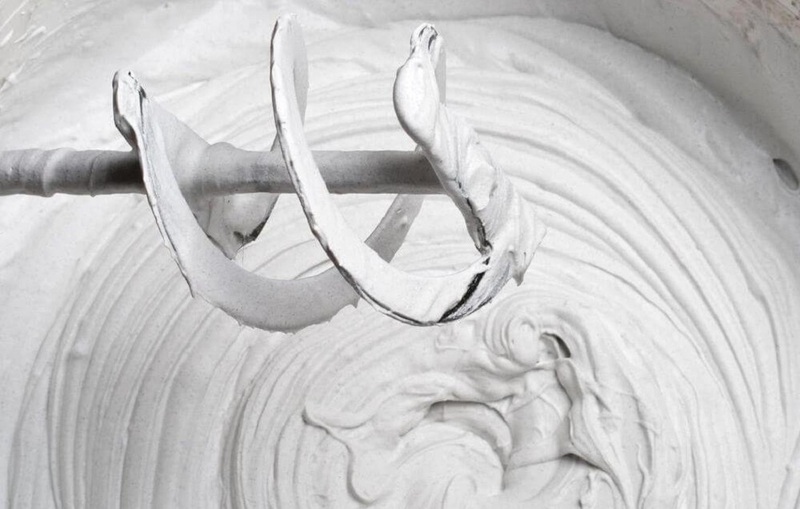 For mixing, it is better to use a punch with the appropriate nozzle, since it is almost impossible to manually obtain the desired consistency. Before you put the tile on the glue, it is recommended to “test” in the “dry mode”. And if it suits you, it fits in size – you can mark the position of the elements (at least, the first and last in a row) to facilitate subsequent work. You can also take a photo of the laid tile so that later it would be easier to recreate the invented scheme in the process of gluing. The adhesive composition is applied either on the wall/floor/ ceiling or on the tile itself (the first option is used more often). Usually, this nuance is prescribed in the instructions for using glue. 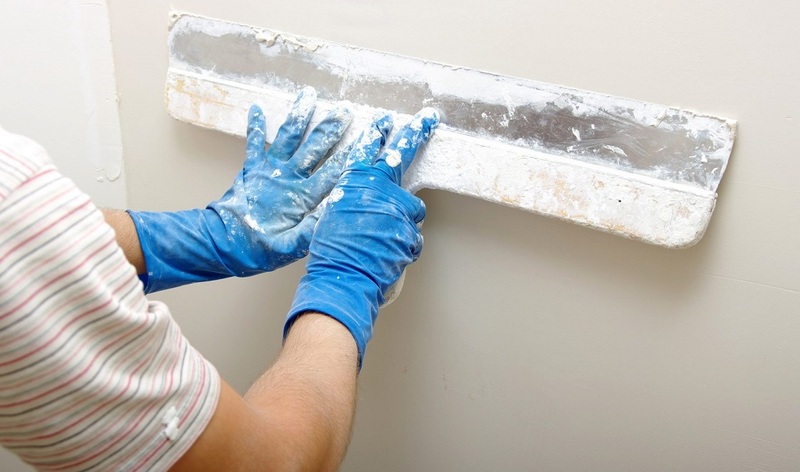 When working with surfaces of the wall and ceiling is to use only those adhesives that quickly seize. For applying the composition and its uniform distribution of the material you need to use the spatula, which is specified in the instructions. In the general case, it is more convenient to spread the mass of the adhesive mixture with an even scraper and to distribute – with a gear. Press the tile against the wall or ceiling should be moderately strong (enough to glue “grabbed”, but not too much so that it does not stand on the edges of the element in large quantities). Speaking glue should be immediately removed with a sponge or cloth. If it dried up, then it is worth using a wooden or plastic spatula. 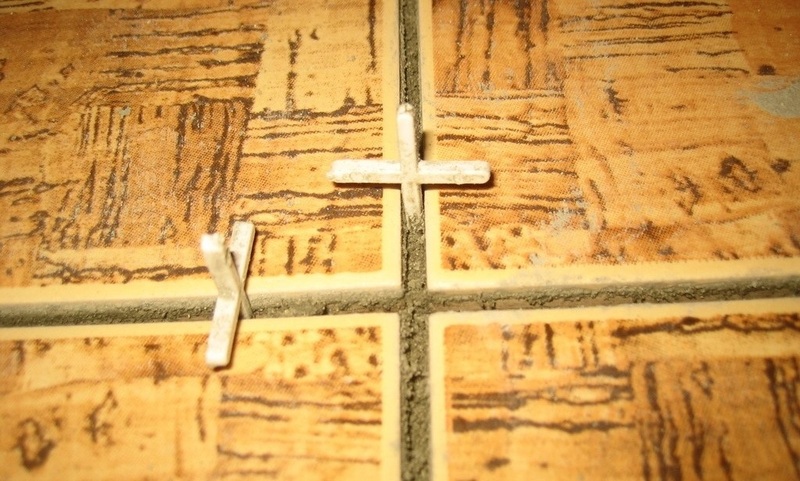 When laying each tile, you need to use special crosses to keep the seam thickness unchanged. It is also worth regularly checking the quality of the veneer using a level. In the case of laying floor tiles, stretched nylon threads are used to check the “horizontal position” of its location. Each element is lightly tapped with a wooden hammer or trowel until it is leveled to the required level. And if the tile “leaves” lower than necessary – it is removed and re-glued. Straight. This is the easiest option when each next row is laid in the same way as the previous one, parallel to the edge of the surface to be treated. Diagonal it is most often used for floors of square rooms since the diagonal of the square serves as a guideline when performing such a layout. It is parallel to it that all the rows of tiles fit, therefore the method makes it necessary to trim a large enough amount of material to form beautiful joints. Chess is somewhat similar to the diagonal, but its main feature is the chess arrangement of tiles of different colors. With offset. Such laying does not imply the joining of all seams and means that each successive row of tiles must be put with mixing relative to the last row. This is a good option for rectangular rooms. With inserts. Inserts can be made for any type of layout, the main thing is to arrange tiles beautifully and carefully trim them to give the desired configuration. 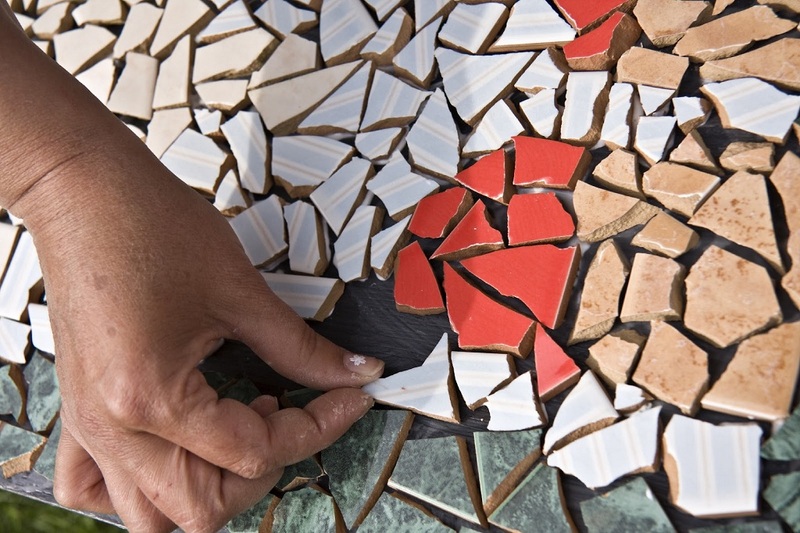 If desired, and due skill, you can even put a tile mosaic. 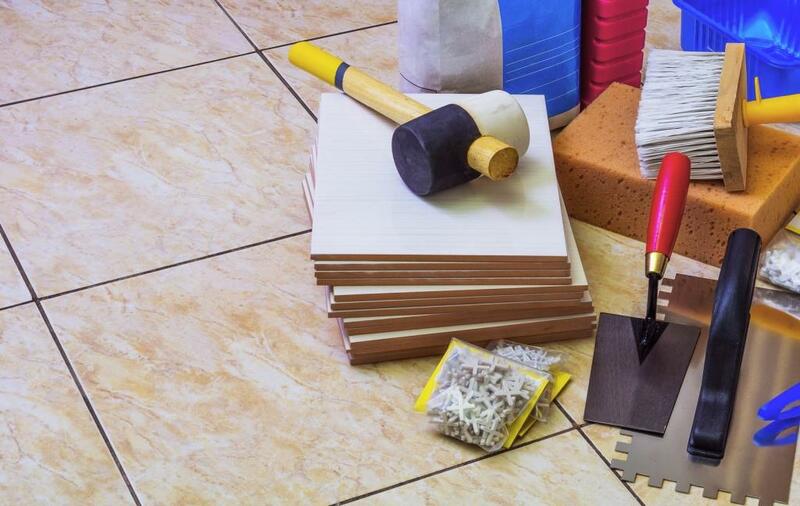 When the tile is laid, it remains for the small – finally clean it from traces of glue and leave alone for 2-3 days. Then you need to use the very trowel fugu, which was discussed at the beginning of the article. The material is applied over the entire lined surface so that all the cracks and voids are completely filled with it. To do this, take a rubber spatula. 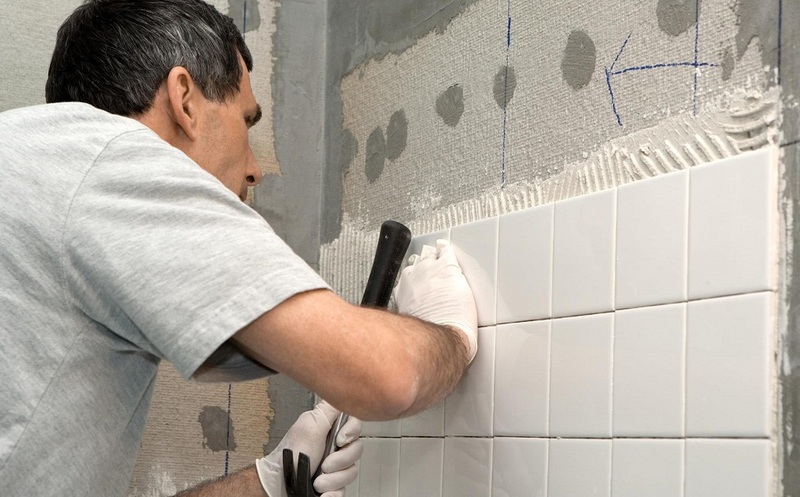 After applying the grout, you must immediately remove it from the surfaces of the tiles themselves, until it is dry, and this task is not complicated. Materials come in different shades, so it is best to choose the one that is most harmoniously combined with a shade of tile. Next, you can install skirting, shelves, and any other elements. Thus, putting a tile in the bathroom is a task that can be implemented on its own, but only with the necessary tools and equipment, and with a thorough approach to business. Skipping any of the cladding stages will affect the strength, beauty, and durability of the final result.